As we all know, buying a new home can be challenging in many ways. Aside from all of the paperwork and legal requirements there is the process of getting approved for a home loan. Part of this process involves the lender taking a close look at your credit report in order to determine if you are a good credit risk. Currently there are 3 major agencies that all major lenders use to obtain your credit report; Equifax, Experian and TransUnion. Unfortunately not everyone is considered credit worthy as a result of what may or may not be contained within their credit report and may not be able to obtain a home loan. Now, however, there may be new hope for those persons that have not been able to obtain mortgage loan in the past. All 3 credit reporting agencies have announced the launch of what is being called the “National Consumer Assistance Plan”. This plan took over 3 years to fully develop and promises a lot of changes to the way that the agencies currently record and maintain entries pertaining to people’s credit history. One common problem that many people have is a number of unpaid medical debts that are recorded as “negative” entries in their credit report. Now, such adverse entries will not be recorded for a 180 “grace period” allowing someone extra time to pay off these types of expenses. Many times people have an adverse entry placed into their credit report simply because the insurance company took so long to process the payment on their behalf. Now, much of that will be avoided in the future. The agencies will also remove these types of entries for you if they have already been paid or about to be paid by your insurance company. Another very important change will be that any unpaid debts that are not the result of an actual contract or agreement between the consumer and another party will no longer be included as part of anyone’s credit history. Up until now such unpaid debts such as parking tickets, moving violations and other non-voluntary obligations have been reported, but that is about to change. The ability for someone to report a negative entry concerning you is also going to require that the person making the claim be able to provide your date of birth to the agency. This was not a requirement before and adds further assurance that you won’t have a negative entry placed on your report that doesn’t even belong to you. If you’ve ever tried to have a mistaken entry removed from your credit report or wished to file a dispute than you know how difficult a proposition that can turn out to be! 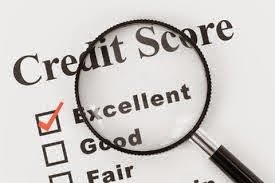 As part of the upcoming changes the credit bureaus are promising to provide consumers with more information than has been done in the past including what additional steps they can take if not satisfied with the outcome of a dispute they have filed. Victims of fraud or identity theft will also be provided with an easier resolution process to help quickly remove inaccurate negative entries that are a result of these crimes. All of these changes can make a big difference for those persons with a below average credit rating and in some cases can be the difference between being able or not being able to buy a home. For anyone that is interested it is possible to get a free copy of your credit report once a year by simply going to AnnualCreditReport.com.